New design, exquisite curve design, tightly massage every position. Give up the traditional massage, and have a deep massage on the neck, 4 massage heads knead and massage upward or downward,keep you feel relaxed. Equipped with external adapter, and you can use it by 12V vehicle power supply, so you can enjoy massage with fun. Warm function will bring you warm feeling during massage. 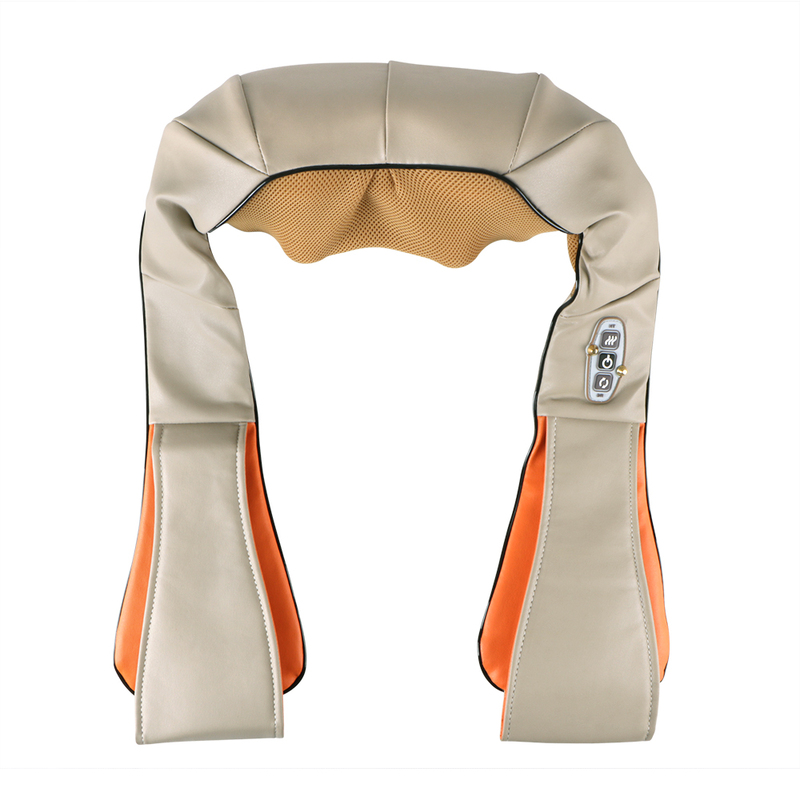 And its comprehensive heated protection device, effectively protects human safety and product life. When the internal motor overheating protection mechanism will start hot, cut off the current, so that the host suspended. Once the temperature drops to secure critical point, automatically starts to work again. It is a massager with three function massage, kneading and warm. Its four massage heads knead and massage upward or downward, to massage your neck, back, waist, abdomen, buttocks, arms, thighs, calves. Also internal motor heat warm, let you feel more relaxed. Finally get the effect of Promoting blood circulation and metabolism, reducing muscle soreness.